Born near Glasgow, Scotland, June 14, 1839, he came to the U.S. as a young man and graduated from Jordan Academy in 1853. He married Eva Sabine, January 23, 1867 (she died in 1875) and married a second time to Marianna Cook, November 28, 1878. He was appointed Captain, 75th New York Volunteer Infantry, September 16, 1861; Lieutenant Colonel, 111th New York Volunteers, August 20, 1862; Colonel, January 3, 1863; Breveted Brigadier Generals of Volunteers "for gallant and meritorious service," and mustered out, June 4, 1865. During the Civil War, he commanded both Brigades and Divisions in the Army of the Potomac; commanded the 1st Division, II Corps at the Grand Reviw in Washington, D.C. in May 1865. 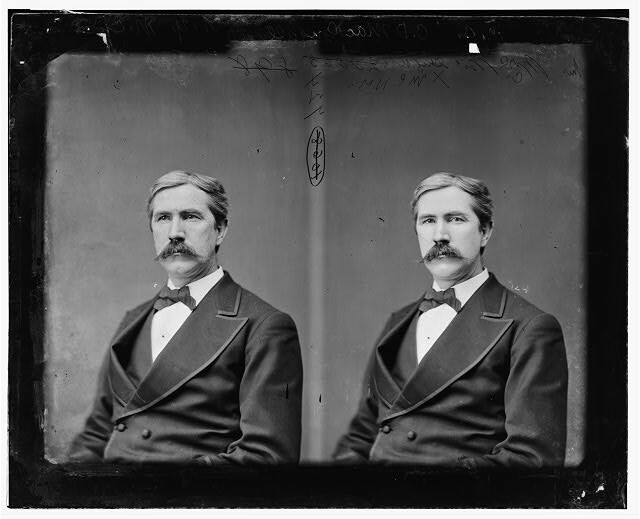 He served as Postmaster, Auburn, New York, 1869-73; Member of the 43rd and 44th Congresses (1873-77); United States Marshal, Northern District of New York, 1877-85; offered by President Rutherford B. Hayes the position of counsel and general counsel at London or Paris, 1878, but declined each; was a Presidential elector in 1888; declined Treasurership of the United States and positions as Commissioner of Internal Revenue and Commissioner of Patents in 1876; U.S. Marshal, Northern District of New York again in 1901-11. He was a Republican. He died on May 24, 1914 at Paris, France, and was returned to the U.S. for burial in Section 2 of Arlington National Cemetery, near his son William Dugald MacDougall. with the Army of the Potomac." 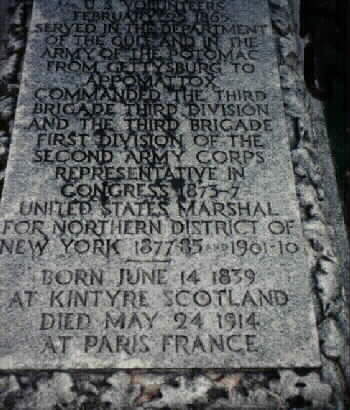 The General's great-grandson, Robert MacDougall Bringham, Colonel, United States Army, is buried in Section 8 of Arlington National Cemetery. ASHBURN, New York, May 25, 1914 – General Clinton Dugald MacDougall, who had been seriously ill in Paris, died at noon today. Funeral services will be held in this city late in June, and the burial will be in Arlington National Cemetery. At the grand review in Washington in 1865 he was commander of the First Division of the Second Army Corps. General MacDougall was Postmaster of Auburn from 1869 to 1873. 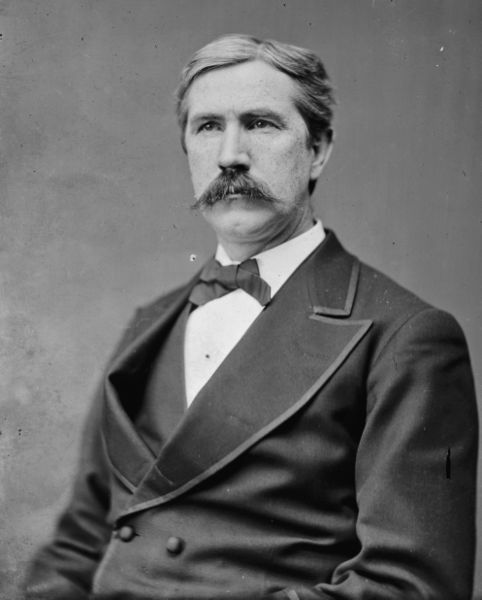 He was a member of the Forty-Third and Forty-Fourth Congresses from 1873 to 1877, was United States Marshal of the Northern District of New York from 1877 to 1885, and was a Presidential elector in 1888. 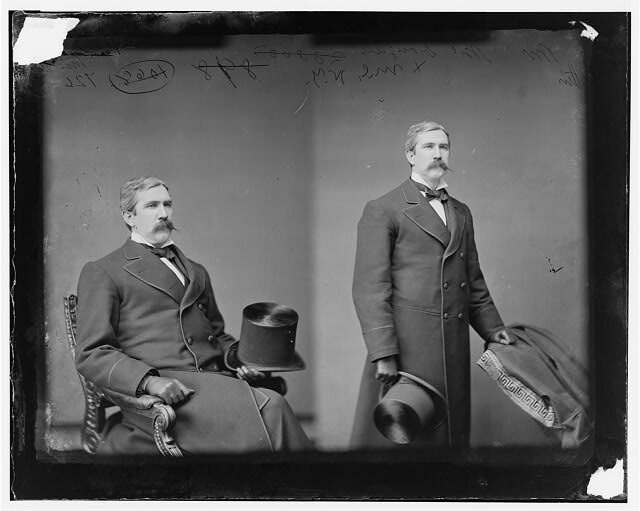 General MacDougall in turn declined appointment as Commissioned or Internal Revenue, as Commissioner of Patents and as Treasurer of the United States, tendered to him in 1876. 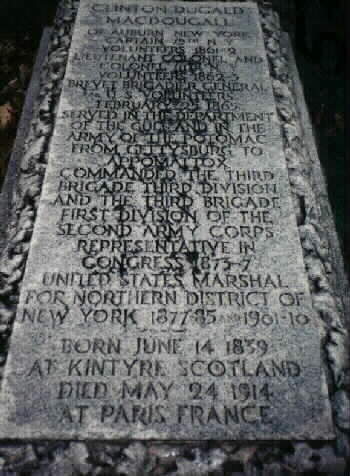 In 1901 General MacDougall again was appointed United States Marshal for the Northern District of New York, and served until 1911, when he retired. General MacDougall married Eva Sabine of Onondaga Valley in 1907. She died in 1877. He married Miss Marianna Cook of Auburn in Rome, Italy, in 1878. AUBURN, New York, June 19, 1914 – The funeral of General Clinton Dugald MacDougall, who died in Paris, was held here today, with services at St. Peter’s Episcopal Church. The Board of Trustees of the Soldiers and Sailors Home and prominent Grand Army men, including General William H. Seward, son of the wartime Secretary of State, attended. MacDOUGALL, Clinton Dugald, a Representative from New York; born near Glasgow, Scotland, June 14, 1839; immigrated to Canada in 1842 with his parents, who later settled in Auburn, N.Y.; pursued an academic course; studied law; engaged in banking 1856-1869; commissioned captain in the Seventy-fifth Regiment, New York Volunteer Infantry, September 16, 1861; lieutenant colonel of the One Hundred and Eleventh Regiment, New York Volunteer Infantry, August 20, 1862; colonel January 3, 1863; brevetted brigadier general of Volunteers February 25, 1865; honorably mustered out June 4, 1865; appointed postmaster of Auburn, N.Y., in 1869; elected as a Republican to the Forty-third and Forty-fourth Congresses (March 4, 1873-March 3, 1877); unsuccessful candidate for renomination in 1876; served as United States marshal of the northern judicial district of New York 1877-1885 and 1901-1910; died in Paris, France, May 24, 1914; interment in Arlington National Cemetery.